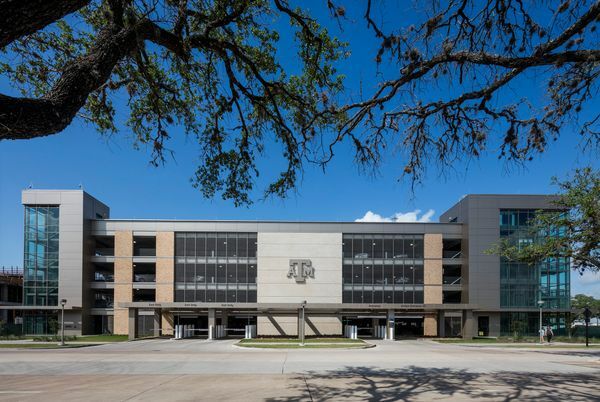 Cain Parking Garage is located across the street from Kyle Field in College Station, TX, and is a state of the art, five story, 1,400 space facility on the TAMU campus. The Parking Guidance System utilizes ultrasonic sensors, digital signs and colored lights (green if a space is available) to provide the most efficient experience. In addition to the tallest clearance of an garage on campus, providing ADA van accessible spaces on every level.